GHD is one of those brands that I don’t need much information about a product to be convinced to buy it. I just know it will be good! So when I was offered the chance to try one of their products I said ‘oh yes, please!’. I chose a product that would be most suited to my hair and the style I normally go for. 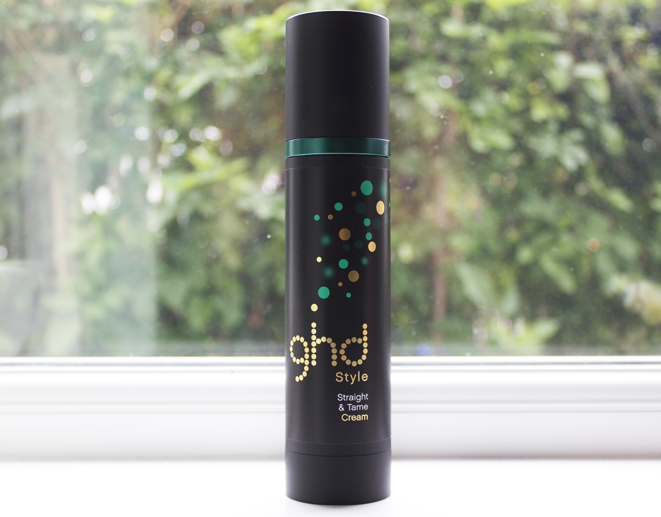 GHD Straight & Tame Cream claims to calm, smooth, straighten and protect hair against heat damage. Having naturally thick wavy hair, I’m always on the look out for anything that will make my life easier when straightening my hair, so this looked quite promising and right up my street. The cream smells absolutely divine. I literally felt like I was just coming out of the hairdressers! The creamy texture feels thick but it didn’t weigh my hair down at all. So I washed my hair with shampoo and conditioner, towel-dried it and applied about 5 pumps of the cream onto my hair. I decided not to layer my hair with anymore products because I wanted to see how this cream would perform on its own. Then I proceeded to blow-drying and straightening my hair, but the whole time I kept asking myself ‘is this cream really working? is it ‘straightening and taming’ my hair?’. Well the answer is yes, it works! My hair looked sleek, it felt a lot easier to straighten and there weren’t as many flyaways and frizzy bits at the end. 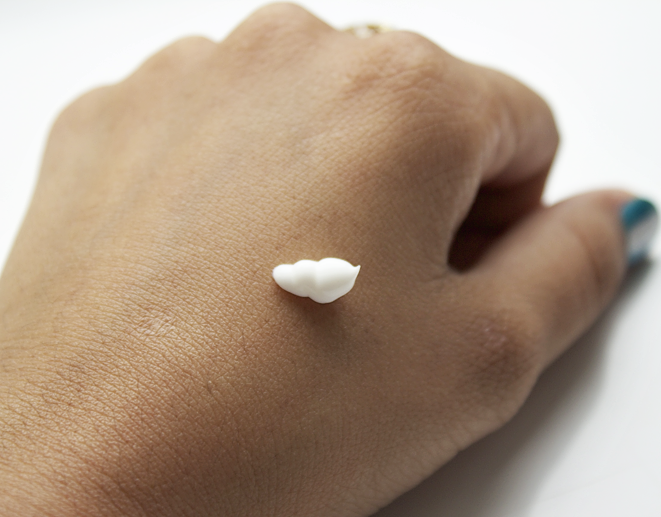 The one thing this cream didn’t do was leave a silky smooth finish that I’m used to with other products; I had to resort to a few drops of my VO5 Miracle Concentrate for that. 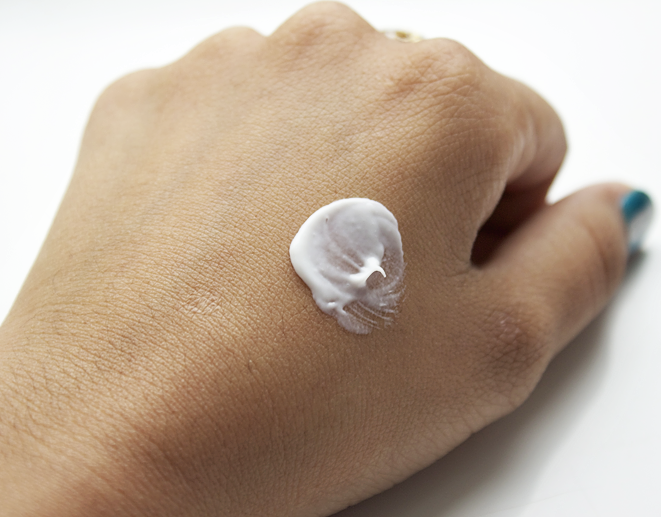 But apart from that, I’ve been really loving the Straight & Tame Cream! 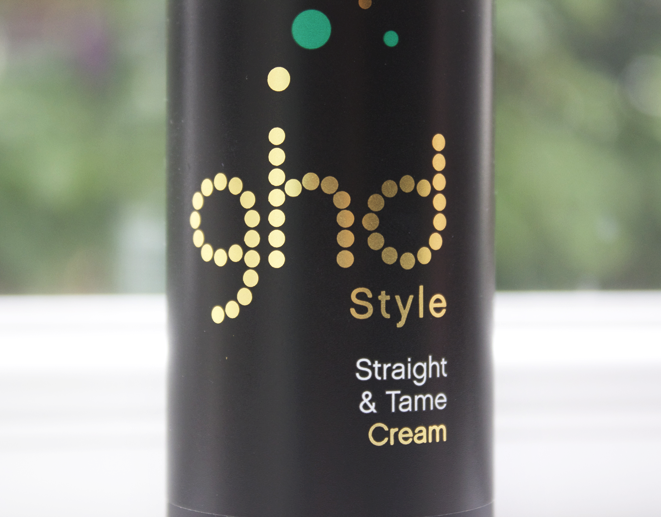 What are your thoughts on the GHD Straight & Tame Cream? Have you tried it? What do you think is its best feature? GHD Straight & Tame Cream is available to buy now from the GHD website, priced at £14.95, or you can save a few pounds and get it from Feelunique for £12.70, including free worldwide delivery!